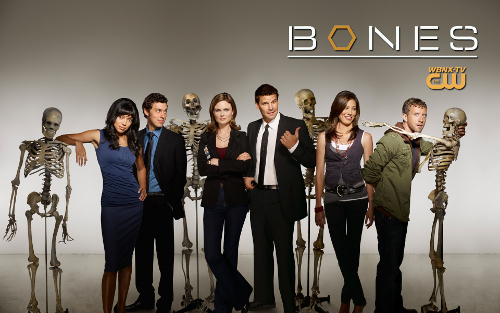 Similar to Patricia Cornwell and her medical examiner Kay Scarpetta, Dr. Temperance Bones Brennan (Emily Deschanel) is also made by forensic anthropologist Kathy Reichs. Great sucess of the Scarpetta book series and TV series Bones results from the facth that both are made by expert womens in forensic technology. However, this female tuch becomes somehow overhealming since Dr Brennan was pregnet/got baby. The flirting between forensic anthropologist Dr. Brennan and FBI Special Agent Seeley Booth (David Boreanaz) on Jeffersonian Institute together with solving of Federal legal cases was entertaining before Bones becomes mom. It is highly unrealistic that pregnant woman is running between corpses on daily basis, but adventure in jail during prisoners rebellion is totally stupid. But this is not what is bordering me. Currently Bones is running between postpartum depression, dipers, obesity complexes and hot kisses on the murder scene. After six seasons of will-they or wont-they foreplay, Bones and Booth become boring couple and every day parents and I hope that this will change. I hope that FOX will freak out about this storyline, better soon than later. Because I have. anonymous: "since they made Dr. Brennan and SA Booth couple with kids this became so unnatural combination of corpses and babies. Great tv show gone bad, not unlike some other tv series recently." Solve this complex math: 6 + 7 = ?